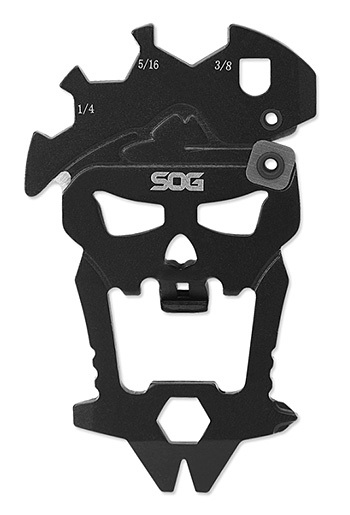 The skull-shaped MacV tool from SOG Knives is made of 3Cr13 stainless steel & features twelve components for performing a ton of tasks: tightening screws, sharpening a blade, cutting cord, pulling nails, opening beers, and more. 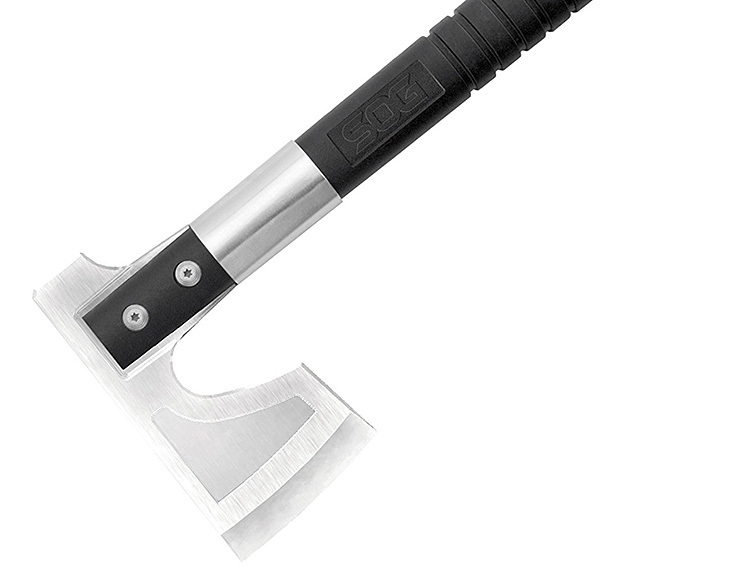 For fire-starting prep at home or in the wilderness, the Compact Camp Axe from SOG knife makers is a lightweight and portable tool designed for chopping and hammering. It features a satin-finished stainless steel blade with a handle made of glass-reinforced nylon. A sheath is included. 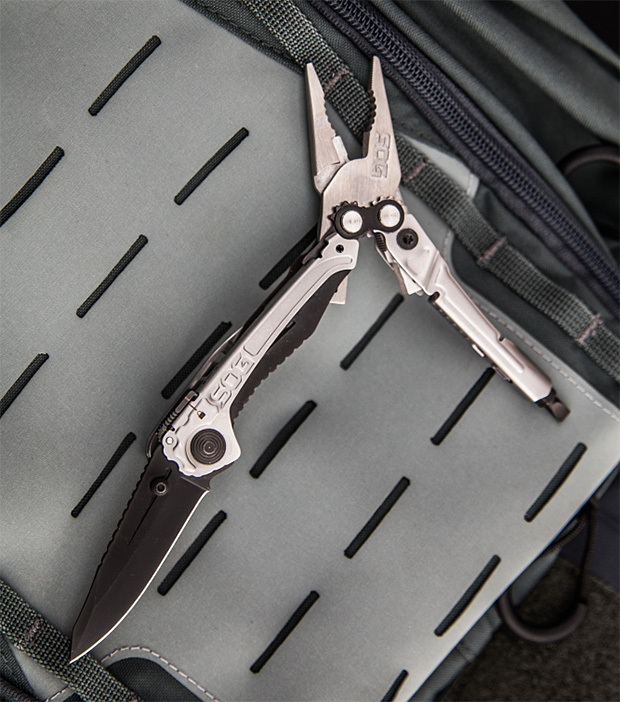 The Baton Q4 from knife-maker & tactical hardgoods purveyor SOG is a slim, highly functional multi-tool designed for easy portability & EDC. 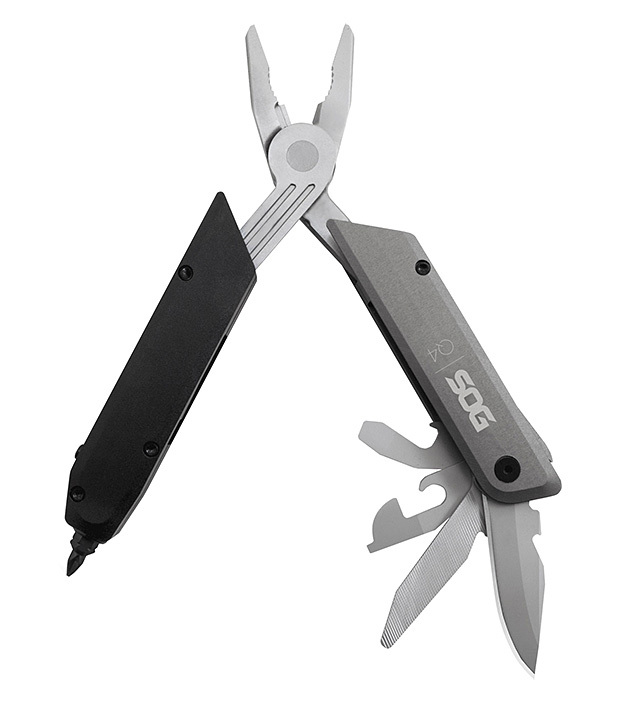 With a closed length of 5.8”, it is made of Anodized aluminum and features blades/tools made of 5CR15MOV steel. 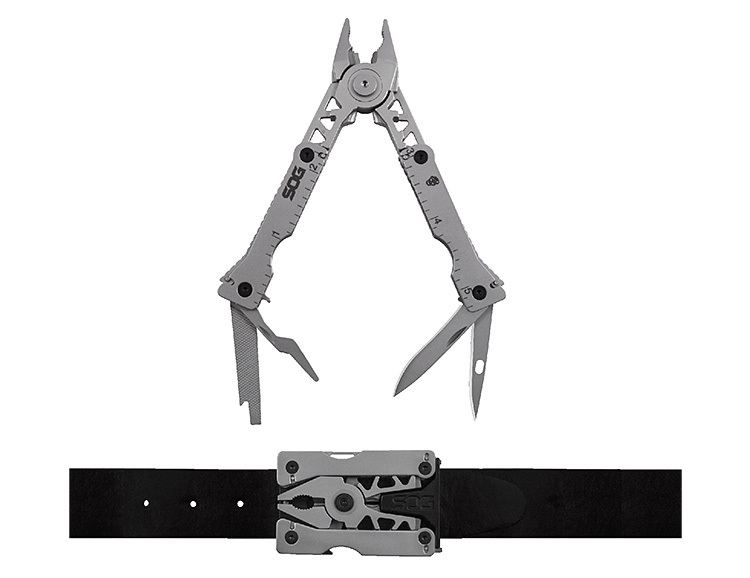 It’s got 10 tools: straight blade, nut/bolt gripper, bottle & can opener, file, hex bit driver, 2 flat screwdrivers, pliers & wire cutters. 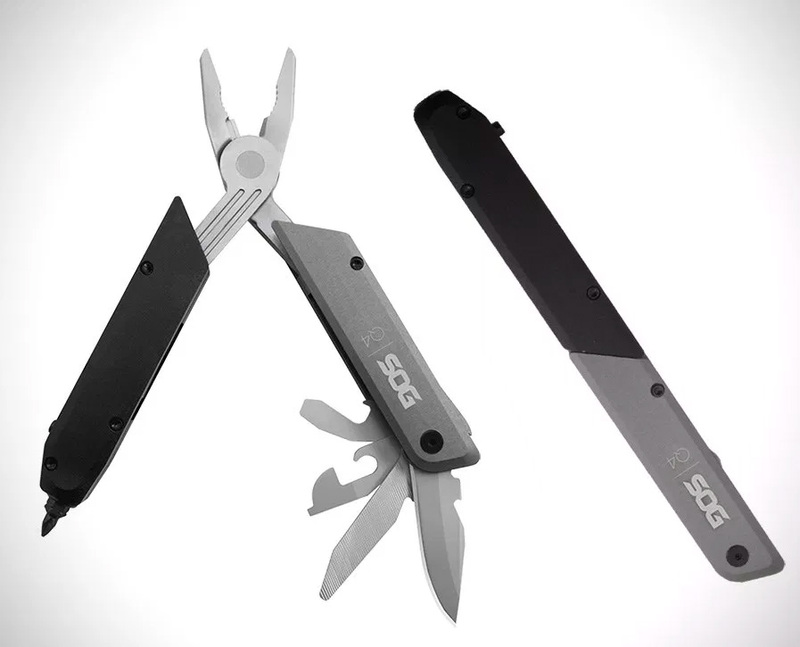 SOG’s stainless steel Sync 1 multi-tool makes itself very useful with 11 solid but fairly standard functions including: straight blade, awl, bottle opener, crimper, file, bolt/nut gripper, pliers and more. But it’s most interesting function is that it transforms into a compact belt buckle that will hold up your trousers or clip conveniently in place for easy access. 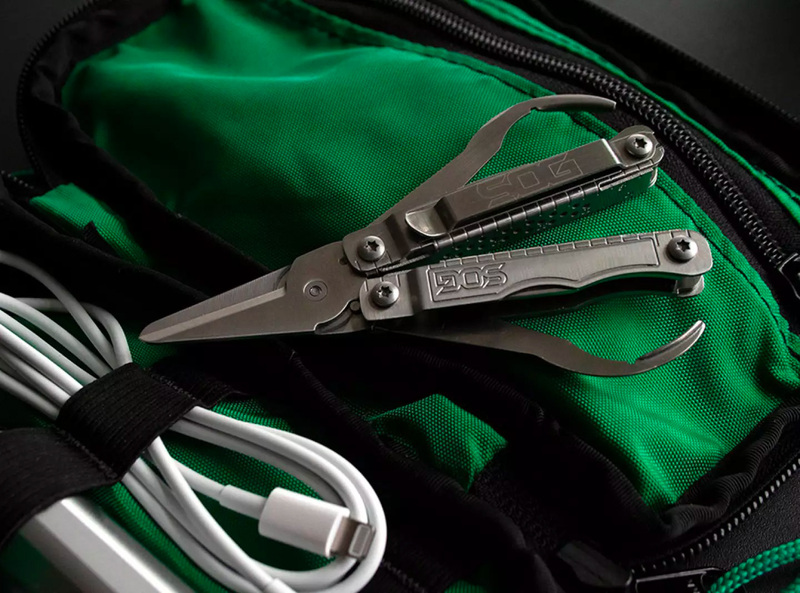 The Reactor multi-tool and folding knife features a total of 10 components including a pair of powerful pliers & a hardcased black coated blade, plus a bottle opener, flat & phillips screwdrivers, straight edge blade, bolt grip channel, & more.